I have been mounting fresh water fish for well over a 2 decades. 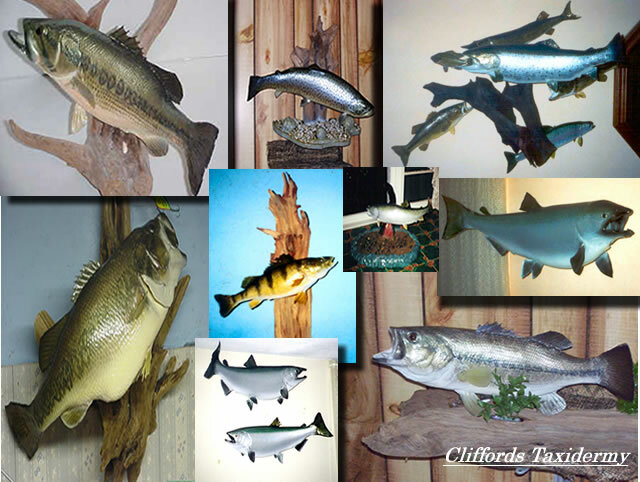 I #taxidermy any type of freshwater #fish from #bass to #trout. All fish taxidermy mounts are air brushed using expensive high quality airbrush paints that are specifically designed and formulated for a fish taxidermy. Special compounds and pigments are needed when air brushing a skin mount fish taxidermy. Without them added to the paint, proper adhesion and transparency cannot be accomplished. I only use the highest detailed quality when it comes to fish eyes. My fish eyes are the best the market has to offer and are so detailed, you’d think they were real. Turn-A-Round time on most fish mounts is 10 to 12 months. Oily skinned fish such as trout and salmon require artificial heads and are charged accordingly. Do not put fish on a stringer !